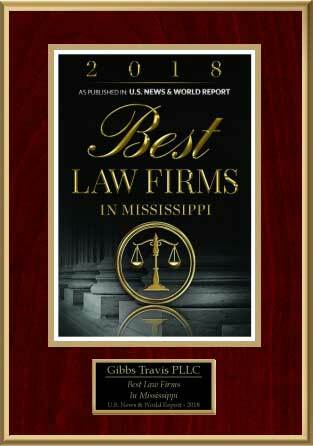 Guy Perrier and Trey Wimberly of Perrier & Lacoste LLC, and Robert Gibbs of Gibbs Travis PLLC, obtained a defense verdict for a trucking company and its driver in the case of Charles Fairley, as Conservator of the Estate of James D. Owens v. Total Transportation of Mississippi, LLC, in the Circuit Court of Humphreys County, Mississippi. Following an eight-day trial the 12-member jury returned a unanimous defense verdict of no liability. Such verdicts are rare in Humphreys County which is a notoriously difficult venue for defendants. The case arose out of an accident that occurred at night on September 23, 2013, on Louisiana Highway 434 in Lacombe, Louisiana. Plaintiff filed suit in Humphreys County, where the truck driver resides. Plaintiff was walking on the shoulder of a dark, unlit, rural highway. The truck driver was operating an 18-wheeler, and had just pulled out of the driveway of a factory. The truck driver completed his turn and was looking straight ahead when plaintiff stepped into his lane of travel. The evidence at trial showed the truck driver never left his lane, although plaintiff attempted to prove the truck went off the roadway before impact. Plaintiff alleged injuries including a closed fracture of the base of the skull with hemorrhage, loss of consciousness, acute respiratory failure, closed fracture of one rib, acute post-hemorrhagic anemia, delirium, hypertensive encephalopathy, and closed fracture of the clavicle. Plaintiff further claimed a severe, traumatic brain injury from the accident requiring inpatient, brain injury rehabilitation for the remainder of his life. A CT of plaintiff’s brain showed a right frontal subdural hematoma, as well as an area of hemorrhage. A repeat CT scan showed an increase in the size of the hematoma, and hemorrhages. On September 24, 2013, surgery was performed to remove part of plaintiff’s skull to relieve pressure on his brain, followed by two follow-up procedures to repair his skull in February 2014 and March 2016. Plaintiff was allowed to show the jury several graphic photographs of his head wound and other injuries over defendants’ objections. Plaintiff’s past medical expenses were $610,000 and the future medical expenses presented to the jury were over $28 million. Plaintiff also claimed past and future lost wages totaling $439,000. The total special damages claim exceeded $30 million and Plaintiff asked the jury for a total of $31 million, plus an award for pain and suffering. Defendants persuaded the jury that plaintiff was 100 percent at fault in the accident. Plaintiff testified he was wearing an orange reflective safety vest and never left the shoulder of the roadway; however, the testimony of several witnesses revealed the vest did not have reflective tape, and the investigating officer testified defendants’ vehicle never left the roadway. 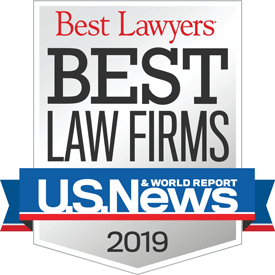 Ultimately, the jury determined the accident was caused by plaintiff’s negligence in walking on the shoulder of the highway at night, with his back to approaching traffic, and then stepping into the roadway prior to impact.